After asparagus and radishes, Quebec-grown garlic scapes start appearing in supermarkets, public markets and organic food baskets. To answer this question, we must first distinguish between two products: our fermented garlic flowers and fresh garlic scapes. 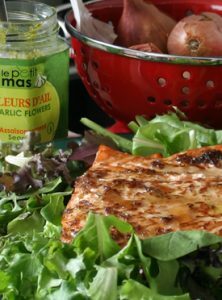 Developed in 1989 by Le Petit Mas, our fermented garlic flowers are a seasoning. More delicate than garlic, they don’t have that “burning” taste of garlic cloves. The fermentation process makes the raw scapes more easy to digest and they won’t give you garlic breath. So fermented garlic scape butter will be much more digestible than traditional garlic butter and won’t overpower the taste of your lobster or prawns. Ready to use, fermented garlic scapes will quickly season everyday meals as well as fancier dishes: salads, dressings, pasta, seafood, marinades, pizzas, sandwiches, vegetables, etc. 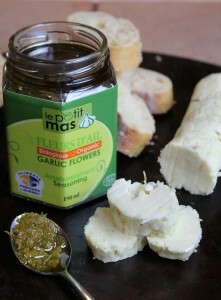 Try Le Petit Mas fermented garlic flowers, available year-round in stores. Fresh garlic scapes can be eaten in two ways. Cook fresh garlic scapes like other vegetables. 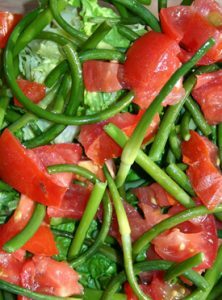 Their taste is similar to green beans or asparagus, but slightly sweeter. Fresh garlic scapes can be steamed, baked or fried. When you can easily poke them with a knife, they are ready to eat. Add them to stir-fries, pizzas, quiches and more. Raw and finely chopped, fresh garlic scapes are a good substitute for green onions in salads, soups, etc. (1 garlic scape = 1 green onion). Most market gardeners sell garlic scapes seasonally (late June to mid-July). Go to public markets throughout Quebec to stock up! Garlic butter is a classic recipe. 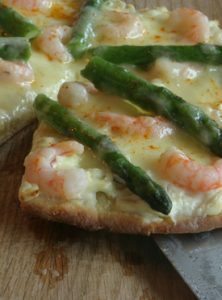 It’s delicious on bread, of course, but also on pasta, seafood, potatoes, grilled meat and fish, fried mushrooms, etc. To write this post, we tested our three flavoured butter recipes: garlic scape butter, Quebec garlic butter and Quebec garlic confit butter. Garlic scape butter, Quebec garlic butter and Quebec garlic confit butter are all delicious, cheap and easy to make. Yet they each have a very different taste. 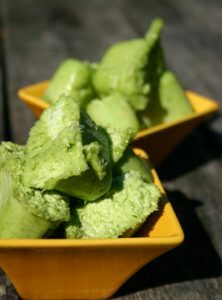 Flavoured butters keep several days in the fridge, but you can also freeze them so you always have them on hand. We love them all, but we prefer garlic scape butter with seafood. Its delicate taste brings out the subtle flavours of the seafood more. Once you have finessed your technique for making garlic butter, have fun coming up with your own versions! 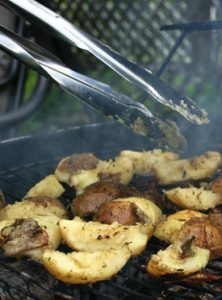 Lemon juice, sea salt, mustard, thyme, maple flakes are just some of the ingredients that go well with garlic butter! Cream butter in a food processor or with a fork. 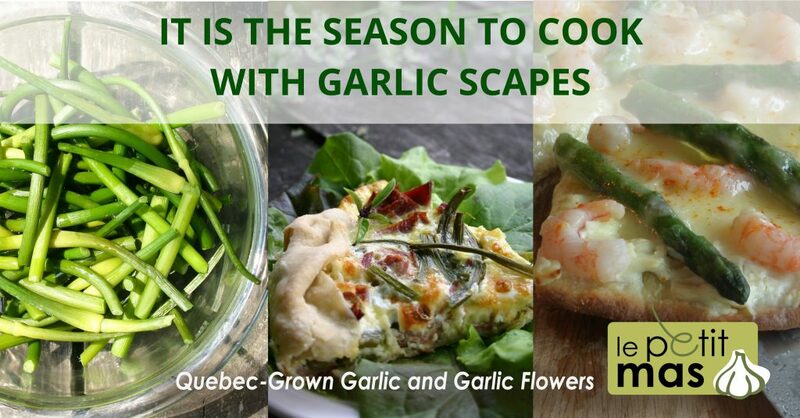 Add Quebec-grown garlic, our fermented garlic scapes, Quebec garlic confit or other ingredients, depending on which version you are making, and mix until thoroughly combined. Serve immediately on bread, pasta, seafood, etc. To store, transfer the garlic scape butter, Quebec garlic butter or Quebec garlic confit butter to a ramekin or roll into a sausage in plastic wrap. To make the sausage, place the mixture in the centre of a square of plastic wrap and spread it lengthwise. Roll into a sausage about 1 inch in diameter. Close up the two ends by tying the plastic wrap into a knot. Refrigerate for at least 2 hours. Slice into rings when ready to serve. 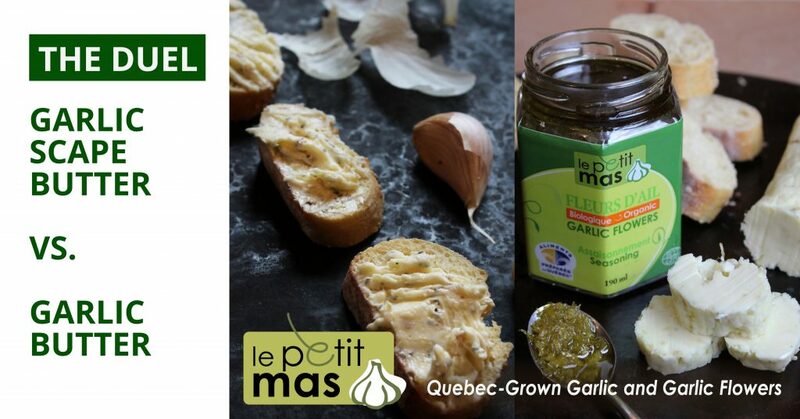 Now that you have your butter, make your own Quebec garlic bread, garlic scape bread or garlic confit bread! Without cutting completely through the bottom, cut bread into 1-inch-thick slices. 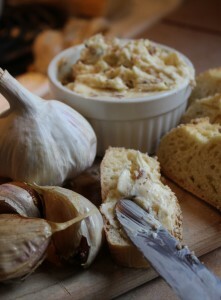 Spread garlic scape butter, Quebec garlic butter or Quebec garlic confit butter between slices. 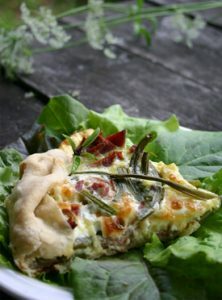 Wrap baguette in aluminium foil and bake in the oven (or on the barbecue) for about 15 minutes. Looking to make garlic scape butter, but don’t have any scapes on hand? Find the point of sale nearest you.